Results for 10th standard are just being declared across India. As student or parent, you must be worried about higher education courses after 10th standard. Nowadays, there are fantastic courses available for all students in various parts of the country. You can select any of these courses and look forward for a great career. The list I am providing is based on various facts. Firstly, I am considering the costs involved in any best course after 10th standard. Secondly, I am including those courses available throughout India. So even if you are living in a village or semi-rural area, it would be easy to find a course near home. I rank vocational courses available from Industrial Training Institutes (ITI) as the best option after 10th standard. ITI courses are recognized by every industry. Also, ITI has some of the best courses after 10th standard that will enable you to find excellent jobs. ITI courses will give you a diploma certificate. 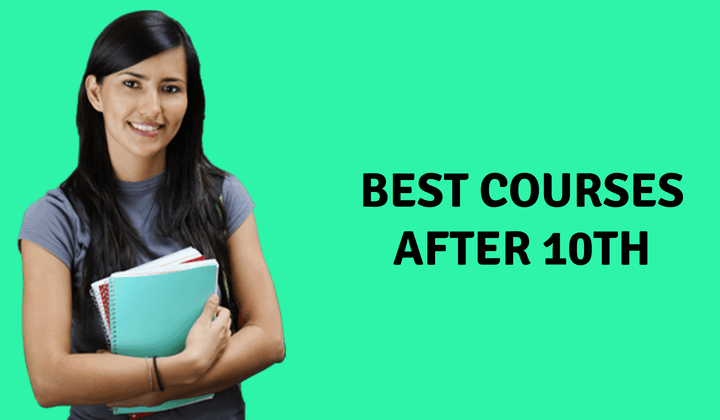 Here are the best courses after 10th standard from ITI. These are just some of the courses available from ITI. The good news is that ITI courses are available for women and men of any age. In fact, a lot of new courses are now offered by ITI, thanks to the Skills India program of the Indian government. You can use Skills India courses from ITI at very economical fees. They are designed to help you make a career in India and abroad. You may also consider doing a Diploma in Engineering from any reputed polytechnic in India. It is also one of the best courses after 10th standard. Diploma in Engineering is available in the following streams. Before you rush to join a Diploma of Engineering course, please consider these facts: Of the 800,000 to one million engineers that graduate, about 60 percent have difficulties finding good jobs. Only about five percent engineers have the required skills. That is the main reason why I have not listed engineering as the No-1 option for courses after 10th standard. However, if you can get admission to a very reputed polytechnic, studying Diploma in Engineering is ideal. Degrees from non-reputed polytechnics are a waste of time, money and effort. Understandably, you cannot join a medical school to become a doctor after completing 10th standard. But if you are really interested in making a career in the medical profession, try some of these best courses available after 10th standard. Since India is promoting itself as a world-class medical tourism destination, there are several new hospitals and healthcare facilities that are opening across the country. These best courses in medical stream after completing 10th standard can help you make a career in this field. India’s travel industry is booming. According to World Travel Council, the country has one of the fastest growing travel sectors of the world. Therefore, you can try some the best courses related to travel and tourism after 10th standard. Diploma in Food & Beverage Management. Diploma in Food & Beverage Production. Diploma in Restaurant & Hotel Management. Diploma in Catering and Catering Technology. Diploma in Front Office & Reception Management. Diploma in Hotel Stores Management. And yes, you can also do a best course after 10th standard in IT and computer technology. These are Certificate courses. You can get an entry-level job with a Certificate course. With some experience, you can go for higher courses such as Diploma. Certificate in Search Engine Optimization. Certificate in Social Media Management. Certificate Course in Search Engine Marketing. If you want to serve the country join Indian Armed Forces. They offer a couple of courses when you enlist as soldier. Indian Armed Forces have the best courses after 10th standard for those willing to serve the nation. They are very honorable careers too. Regardless of which course you opt, it is compulsory to serve the Indian Armed Forces upon completion of training. The duration of service can vary according to various rules and regulations in force. All courses of Indian Armed Forces include arms and weapons training. The Tradesman course teaches various skills to soldiers that are required in peacetime, disasters and wars. As we have seen, there are several best courses after 10th standard to suit your passion and needs. Most of these courses impart vocational skills. Hence, you can also open a small home-based business with these skills. Millions of students nowadays opt for vocational courses after 10th standard because of many reasons. These reasons can be lack of money for further studies or loss of interest in general studies. If you are one among these students, there is nothing to worry. The courses I have listed will help you make a respectable career or become entrepreneur.